Children don’t come with instruction manuals, though we sometimes wish they did. How do we parents manage to raise godly, compassionate children when we’re sleep-deprived, emotionally exhausted, and overwhelmed (and that’s just the first year!)? 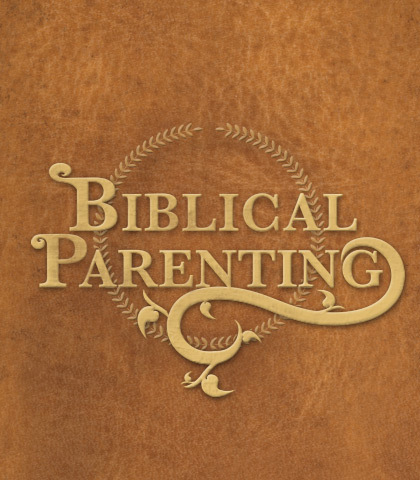 Can the Bible help us to grow from being merely good parents to becoming godly ones? Absolutely! Join Chuck Swindoll in Biblical Parenting—A Classic Series and discover a solid parenting strategy for growing from a good to great—and godly—parent. No matter how hard parents try, children are determined to go in a direction different from the parents’ desire, and the rebellion persists. What went wrong? What’s missing from this domestic equation? Why is the battle so difficult? The problem boils down to the natural “bents” in every baby. We know that we are all sinful and in need of salvation, but often, we fail to consider that we bear the specific “bents” of our parents, grandparents, and even great-grandparents. When we think about it, all of us must admit the direct link between the people we have become and the lives of those who formed our heritage—for good and for ill.
Having learned some key words in the Bible that pertain to delighting in our offspring, we now need to think about some practical ways we can do just that. As you consider these remember, your children won’t forget the occasions you make to take joy in them. Delightful memories last forever. Too often, we end up saying “if only I had known then what I know now.” Since there’s no way to go back and relive our lives, we need to focus on the best way to respond to these painful memories. Otherwise, we will live under clouds of blame and shame and be paralyzed by fear.